Lauren Butowsky is Dallas born and bred. 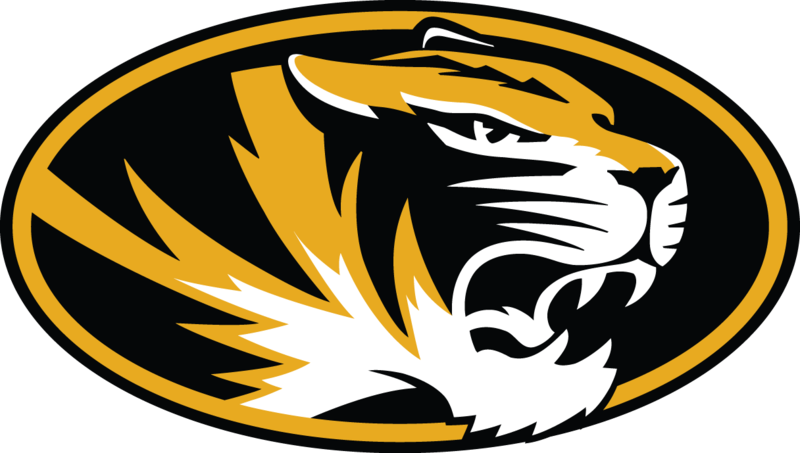 She graduated from the University of Missouri in 2017 with a major in Strategic Communications and a business minor. She is currently working at Publicis Hawkeye in Dallas as an Account Coordinator on the Capital One team. Lauren loves being a sports fanatic and music obsessor. She hopes one day to continue her work in advertising and public relations while pursuing her passion of working in the sports world. The opportunity to work for Fox Sports Midwest was something that most college students can only dream of. I am a better person and professional for having had this experience. Working on this campaign was exhilarating, thought-provoking, and the single most impactful career growth experience I have ever had. Being able to work for a real client, not to mention one so established and prestigious as Fox Sports, was the unparalleled experience of a lifetime. It was an honor to be a part of this program. Laura Maurer graduated in May of 2017. She is moving to Boston to start her job as a PR account coordinator at Launch Squad. She is interested in brand strategy, planning, and PR. In her spare time, she likes cycling, design, and animals. Working on the Fox Sports U capstone was the best way for me to get real life advertising experience. I feel 100 times more prepared after going through this FOX Sports university program. I learned so much about myself and working on a team through working on the FOX Sports U capstone. I was able to point to real advertising experience in every interview. I really feel that this allowed me to stand out and get the job I wanted. Cassidy is a graduate of the University of Missouri School of Journalism with a degree in Strategic Communication and hails from the suburbs of Chicago. She is spending the summer working for the United States Olympic Committee in Colorado Springs, Colorado, and plans to return to her alma mater for a Master’s in Journalism in the fall. With an aspiration to continue working for organizations with the highest caliber athletes, Cassidy desires to work in an environment comprised of individuals who are as passionate for empowering others through sports as she is. Outside of the workplace, Cassidy enjoys spending time outside – particularly on hikes – and petting every dog she meets along the way. Since I arrived at Mizzou my freshman year, I knew I wanted to be a part of the FOX Sports U program during my senior year. It was always something I worked toward and looked forward to. That might seem a little crazy, but this is an opportunity most aren’t fortunate enough to have. I was given the opportunity to channel my passion for sports into my schoolwork – what more could you ask for as a student? Working with my team to develop a campaign for FOX Sports Midwest was one of the most challenging and rewarding experiences I had in college. I was pushed to think differently and to work in-sync with five other talented individuals, all to channel our brainpower into a unique and executable idea. I’m not sure I could have asked for a better way to end my college career. I’m still in disbelief that we as students had a hand in working with such a well-established organization like FOX Sports. I feel that FOX Sports U program desires to invest in, challenge, and develop all students who are involved to tap into their highest potential. Baylee is recent graduate of the University of Missouri with a dual degree in Journalism and Spanish – Business Minor. Her interest area is called strategic communication which focuses on effective ways to communicate messages to an audience. Within her emphasis area, she focused even more closely on the creative and design aspect. In her free time, you can find Baylee eating avocados, trying to convince her cat to love her back or choreographing in the studio. From being submerged into the “Missouri Method”, the hands-on experience that only the Missouri School of Journalism offers, she gained real experience working in an advertising agency setting as an art director. She is a young, driven and brave extrovert looking for adventure after her summer internship as a marketing specialist with Missouri Business Alert. 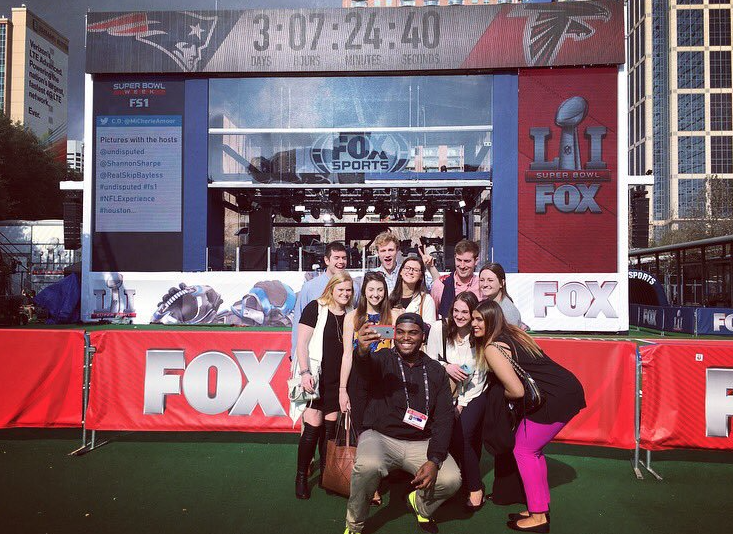 Fox Sports U offers a real-world work experience that you cannot find in any classroom. Having this experience gives us an important leg up when interviewing for jobs after graduation. The people at Fox Sports U were so genuinely excited to hear our ideas which kept us motivated to create innovative and original campaigns. If you have the opportunity to be a part of this program, do it! 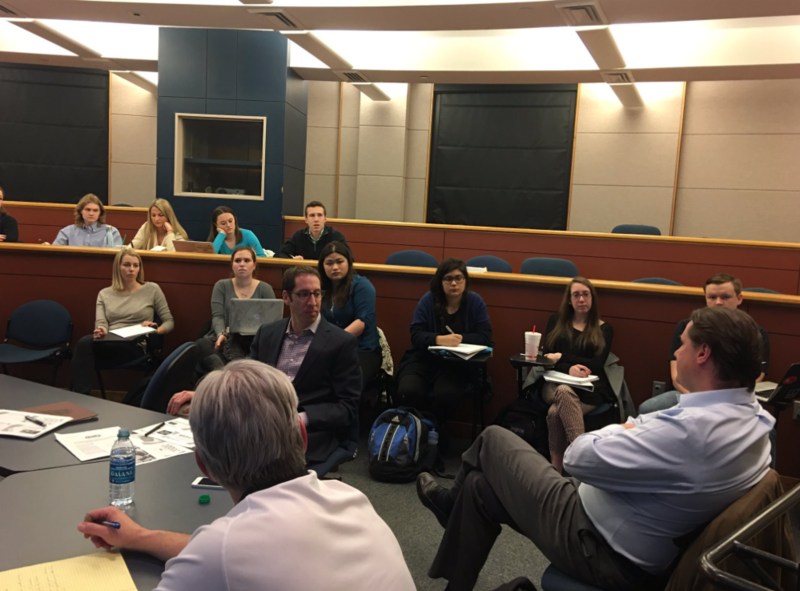 AdZou students at Missouri’s School of Journalism were challenged to develop a strategy that FOX Sports Midwest can utilize to raise excitement for FOX Sports Midwest within the 18-25 demographic.